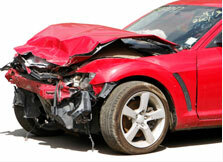 Failure-to-yield car accidents are often complex, because determining fault is difficult. Unfortunately, failing to yield the right of way is a major cause of serious and even fatal car accidents. Most often, these accidents occur at intersections, where broadside collisions commonly result. There are many root causes behind an at-fault driving failing to yield the right of way, including operating under the influence, speeding, texting-while-driving, poor weather, etc. The experienced Boston car accident lawyers at Bellotti Law Group, P.C. will launch the most thorough investigation possible to prove negligence and liability. The Boston car accident attorneys at Bellotti Law Group, P.C. understand the challenges victims and their families face after a failure to yield car accident. These are often some of the most frustrating accidents, because they are highly avoidable, if the other driver was not negligent and followed the rules of the road. Nonetheless, our attorneys will win you compensation for your medical bills and rehabilitation, lost employment, pain and suffering, and other damages. Call our Boston, Cambridge, or Quincy offices today at 617-225-2100 for a FREE consultation. You can also reach us quickly through our contact form. When failure-to-yield accidents occur, it is imperative to launch a thorough and swift investigation. Many times, liable drivers, their lawyers, and insurance companies will not admit they were actually at-fault. Sometimes, the party that is actually at-fault for the accident is struck by the victim's vehicle, creating a confusing and complex situation for responding police officers and other investigators. Insurance companies of liable drivers may try to exploit this situation to get their insured "off the hook" for the accident. It is important to never admit fault following a failure to yield car accident, even if you believe you may be liable. Any statement made to an insurance company, even if made innocently or nervously, can be used to damage your case. Instead, you should try to record the facts of the accident as completely as possible, including taking photographs of the scene and the vehicle if at all possible. Next, you should receive any medical care you think necessary, including a thorough examination after the incident to rule out any injuries that are not immediately apparent. Finally, you should contact one of our experience Boston car accident attorneys at Bellotti Law Group, who will examine your accident, hold at-fault drivers accountable for their negligence, and get you fair and full compensation for your damages. Contact our Boston car accident attorneys at Bellotti Law Group, P.C. today at 617-225-2100 for a free consultation and review of your options. Our experienced car accident lawyers have extensive dealings with insurance companies and medical providers and know their tactics. We will get your bills paid, wages recovered, and your life back on track. We serve all of the Commonwealth and have offices in Boston, Cambridge and Quincy.